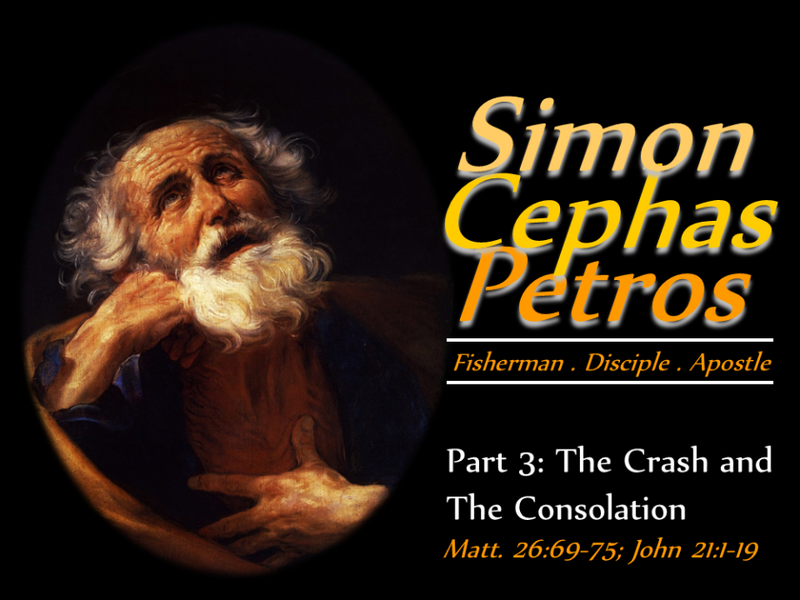 In this message, we contiune to look at the life of Peter in terms of the crisis moments of faith where God moved him from one level to another in his faith journey. We have already talked about The Change, The Call, and The Confession, and today we turn our attention to a “crisis of failure” where Christ has to repeatedly repremand Peter and discipline him in order to break his self-confident spirit and make him available for the consolation by Christ and The Commission of Christ which is coming next. For those who are interested, I have included a worship song from our worship team led by Micah Williams on the end of the sermon recording. When we think of great men and women of the Bible, we may forget that they were “works in progress” just like we are today. God worked in amazing ways in the life Peter to move him from his lifestyle of humble fisherman to bold “fisher of men”. His life and death inspire us to become the person that God has called us to be as well.